I quickly discovered that this was my first telephony rodeo in a while and I needed help after I tripped up on a security 3CXcertificate implementation. Help isn’t bad. It doesn’t mean the 3CX is overcomplicated. Just the opposite as I discovered 3CX is very powerful and I needed the help of a certified 3CX partner. I started on the 3CX telephone system journey with my customer hat on. I believed I could do it all. So, I jumped right in without, you guessed it, reading the manual (RTM). I quickly discovered that this was my first telephony rodeo in a while and I needed help after I tripped up on a security certificate implementation. Help isn’t bad. It doesn’t mean the 3CX is overcomplicated. Just the opposite as I discovered 3CX is very powerful and I needed the help of a certified 3CX partner. Allen shared that “Some suggestions – I am partial to Yealink phones. The one I use is the T48G which has a lot of soft buttons that you can use for speed dials which I like. I think you have a T46G which is nice with fewer buttons. They also announced a new line in the last couple weeks called T4S series. I believe these have blue tooth and Wi-Fi if those matter to you.” Yealink it was and a shout out of appreciation to 888VOIP.com (888VOIP also hosts 3CX Training events which are very useful for partners to get help toward their 3CX Certifications. Visit http://www.888voip.com/events/) for providing our test bed. This intercompany cooperation from all aforementioned parties is a credit to 3CX for having built a reputation where stakeholder and suppliers work together and want to cooperate. I’ve worked with other vendors where such a community didn’t exist. Not content to simply share my own experience, I wanted to seek out 3CX customer evidence to balance my opinions. I didn’t have to look far. Since the first of the year, I’ve been working with CSG Services, a well-respected Seattle-area vendor in the technology ecosystem. CSG Services provides services to Microsoft, Amazon, Dell, CenturyLink and other clients. It’s stock in trade is a number of global call centers. You know it takes telephony seriously. It depends on 3CX which is a testament right there. In this scenario, I’ve been using 3CX via the native softphone application. This is the basic CSG Services configuration for 3CX: softphones, not desk phones, for each of its 100+ employees in its call centers. While not my preference (I still prefer a desk phone), I grew increasingly fond of 3CX once I hooked up my Sennheiser professional headset, freeing me from a four foot USB headset cable and allowing to walkabout and pace on calls within Bluetooth range. My experience on the 3CX customer side is this. It’s battle tested in the CSG Services call centers. It has passed the test. By the way, it’s running 3CX on an Azure instance (that’s a whole future blog). Dan the Man: What Cloud Partner Program is Best?! Long-time SMB Nation member Daniel Williams (Xpedeus) from Tampa, FL asked a very relevant question this past week. I wanted to crowd source the answer. Dan asked: What MS “certs” or MS programs can our Xpedeus consultants gain for becoming “MS Cloud” consultants and transitioning Xpedeus to become an MS Cloud consultancy? In the old SBS days it was easy, just become Small Business Specialist. What is the equivalent in the cloud? It seems MS has so many programs for becoming a “cloud guy” I am not sure which applies best to Xpedeus customer base of 5-250 knowledge-worker companies. But most importantly, I want to hear from YOU the reader in answering Dan’s important question. Please leave a comment on this blog which I’ll approve and also use in a follow-up contribution next week. Thanks in advance. I’m continually impressed by the good work coming out of Mitel with respect to community conversations. I think everyone agrees there’s no home for speeds and feeds BS content at SMB Nation. Rather – you want unique insights into matters that interest you. You want the community sponsors to be respectful; they want to be top of mind when you are ready to move forward. I think Mitel’s recent outreach to the SMB Nation community meets this high bar. Mitel has embarked on a journey to act as your guide by the side when it comes to your communications strategy. In particular, Mitel’s new communications landscape white paper that you can (and should) download here (“Making Smart Communications Decisions – an SMB Buyers Guide”) present the Information and Communications Technology (ICT) concept. Essentially ITC refers to the view that technology is an enabler. We used to call it data + voice but Mitel’s ICT concept is about the premise that today’s IP-based phone systems are gateways to this new world focused on applications. Small business IT staff are more and more becoming cloud and applications managers. The assertion is that ICT staff are becoming more strategic and less break-fix. Spending growth for a mobile world. Budgets are facilitating smartphones and applications to deliver a flexible work experience to employees who are becoming more mobile and geographically distributed. Re-imagining work. The new workspace requires a new communications approach. I previously covered this conversation in my late December 2015 blog titled “I Love Work” that you can read here. Premium on protection. It goes without saying but you need to say it: security is important! Incremental, integrated solutions approach. This not only relates to cloud solutions but OPEX vs CAPEX financing. Reshaping the customer experience. This is my favorite part of the Mitel white paper. There is a strong marketing conversation currently underway that with search, customers are doing much of their own research before ever speaking to a salesperson. So true. I’ve seen another report that nearly 70% of the decision has been made before customers speak to you. Google calls it the zero moment of truth. True that! So you’ll have the read the rest of the report to get the good stuff. Highly recommended! Digium released last week an infographic detailing the benefits of cloud-based phone systems, a solution especially suited for SMBs. and remote businesses looking to reduce costs, minimize IT resources and keep employees connected regardless of location. “The beauty of Cloud applications and VoIP phones systems are that they are located in secure data centers, and vendors take responsibility for owning, configuring, and managing them,” Cora Cloud, Digium content marketing specialist, said. Full-featured Unified Communication solution Switchvox Cloud, designed for SMBs, includes UC features in a cloud format, which Digium suggested is the superior option for SMB phone systems. According to the infographic, 82 percent of companies reduced costs by moving to the cloud, and cloud-based phone systems also saved energy and server space. The full infographic is available to the right. snom technology recently announced that it has partnered with Secusmart GmbH to add an anti-tapping feature to its phones. Secusmart GmbH is the company that is currently responsible for securing the German Chancellor, Angela Merkel’s phone, and the two organizations have entered into numerous partnerships since 2012. Zultys, a Sunnyvale, CA-based VoIP/UC solutions company, announced the debut of its MX Release 9.0, the latest version of its MX UC platform. In particular, this latest release comes with the addition of a cloud-based UC platform in the MXvirtual solution, and other features that allow the user to have a similar communications experience to a system admin. WhichVoIP.com recently hosted an article from Tony Campbell, a spokesman for the company, which covered the “10 Things you need to Know about Mobile Solutions for your Office Phones.” This list includes a specific distinction between Mobile Apps for business phones, Virtual Extensions and Mobile BYOD VoIP, as well as offering an answer to whether or not a company can (and should) go completely mobile. snom recently announced the appointment of Brian J. Kelley to the role of Chief Executive Officer. Kelley, who has been managing snom's Americas division, and has been a part of the organization since 2012, was appointed by snom's Supervisory Board. Kelley has over 30 years of executive management experience at companies such as Cognitronics Corp and Tii Network Technologies. In his new role at snom, he will be responsible for expanding the company’s market presence. His appointment to CEO will also come with a seat on snom’s Managing Board, and he will report directly to the Supervisory Board. This week, VoIP-Catalog.com announced their list of the top 10 Business VoIP Service Providers. The rankings below are based on pricing models, service options and customer reviews. snom technology sai d that it has doubled its factory warranty to two years on its entire line of desktop IP phones and its PA-1 pager, lowering the total cost of ownership and boosting customer’s return on investment. Yesterday, Polycom, Inc., announced that it has expanded interoperability with the BroadSoft UC Services line. This announcement added Polycom’s VVX300 and VVX 400 phone models to the interoperability list, which will help SMBs provide HD video and voice capabilities in their offices. BYOD: Who’s *Really* in Control? “Bring your own device” (BYOD) isn’t a new trend, but that doesn’t mean SMBs–or large enterprises, for that matter–have worked out all of the kinks. Part of the challenge has to do with how the change in ownership affects control over apps and the device itself. Having a well-known and reputable brand is vital to a company’s overall success, today. Companies are increasingly dedicating more dollars to building and maintaining their brand, and it usually comes out of their marketing budget. Larger brands are shelling out millions of dollars to support brand building; but, for SMBs, an Unified Communications (UC) phone system is often an overlooked – and affordable – tool to help not only build their brand, but compete with the big guys. snom technology said today that its 7xx series and 8xx series desktop IP phones, as well as the PA-1 SIP paging adapter, are now fully interoperable with Clarity Telemanagement’s hosted VoIP service. Phone.com said that it has chosen Bandwidth to provide voice network services in support of its hosted suite of products. With Bandwidth, Phone.com now has ready access to a nationwide network of local numbers using Service Management APIs to automate their inventory search and activation process. Guest Blog: Do you Know Who Controls Your Data? Would you pay $33,000 for a used Dell PowerEdge R410 blade server? What if it were the one that made WikiLeaks a household name? That’s what someone paid on eBay, where Bahnhof, Wikileaks’ hosting provider, put the server up for sale. The auction is a cautionary tale for any SMB that outsources its telecom or IT to a cloud provider. Positron Telecommunication Systems today introduced the G-124V, a full featured IP-PBX with integrated, easy to use desktop video conferencing at an MSRP (retail) price less than $2,300. It works with local or remote videophones, PCs, tablets and smart phones. A video conference of up to 12 participants can be set up as easily as a voice conference call. Earlier this week, Sangoma Technologies Corporation announced that it has added a new partner to its reseller program. Intrust IT, a Cincinnati-based Microsoft Gold Certified partner and provider of technology services to customers throughout the Midwest, has planned to standardize all of its on-premise deployments of Microsoft Lync with Sangoma’s NetBorder Lync Express solution. As it enters its next phase of growth, 8x8, Inc. has appointed Vikram Verma as CEO, effective immediately. Former CEO Bryan Martin will assume the role of CTO and will continue as Chairman of the Board of Directors. Novus LLC, said that it has added IntelePeer as a partner, and will resell its CoreCloud SIP trunking services, which are qualified for Microsoft Lync 2010 and 2013. This morning, Phonebooth announced a deeper partnership with Global To5 SIP Phone service provider, Yealink. To date, this partnership has allowed Phonebooth, a division of Bandwidth, to expand their reach into the SMB space. This morning, snom technology AG announced that they are a Gold-level exhibitor at the upcoming ITEXPO West Conference, taking place at the Mandalay Bay Resort in Las Vegas from August 26-29. This year’s ITEXPO West will feature over 150 exhibitors and is expected to draw thousands of attendees. BYOD has quickly become one of the biggest buzzwords in business today. It’s also an opportunity for SMBs to spend less time using some other four-letter words, such as when they’re scrambling to recover after a disaster. Part of the reason why so many enterprises–including SMBs–now have “Bring Your Own Device” (BYOD) policies is because they’re a way to leverage hardware that they otherwise couldn’t afford to buy for all employees. Another reason is increased productivity: an extra 37 minutes per week per employee, according to a recent Cisco study. For an employee making the median wage, that works out to an additional $350 in annual value – more than enough to cover a device subsidy for employers that choose to offer one. The term Unified Communications (UC) has been poorly defined by the industry and clouded by mixed marketing messages. Every major IP communications vendor has a UC section on its Web site with hyperbolic statements such as, “UC is changing the way you do business” or “Reinvent your productivity capacity with UC!” To help clear it up for those SMBs that may be in the market for a UC system, let’s first define Unified Communications: UC is the merging of many different communication methods including voice, email, video and instant messaging into one unified system. Vocalocity is SMB Nation’s Official Phone System! About 12 months ago, SMB Nation and Vocalocity teamed up on a partnership in which the hosted PBX provider would offer our company phone services for all of its employees at its Bainbridge Island, WA headquarters, and also those who work out of their home offices. For small businesses, part of the appeal of cloud-based IT and communications services is that they provide access to technologies they otherwise couldn’t afford. That access helps level the playing field because small businesses now are better able to provide service and support on par with large enterprises. Earlier this week at Microsoft’s WPC 2013, snom technology AG announced that their UC edition phones will feature updated firmware, which will allow users to access expanded Lync features. Earlier this week, snom technology, Inc. announced that their Lync-enabled 7xx, 8xx and M9 cordless phone systems are now interoperable with Flowroute Wholesale VoIP services. As of this announcement, snom technology has over 35 interoperability partners worldwide. Earlier this week, Phone.com announced that they would be developing new solutions to help the organization enter the Web real-time communications space. The first solutions developed would allow users to place voice and video calls to and from Android phones, as well as Google’s Chrome web browser. At the mid-way mark through the year, businesses are looking for new ways to save money for the second half of 2013. One of the most underrated means to save thousands of dollars each year is by changing phone service. To help companies save a few extra dollars this year, My VoIP Provider is announcing the top 5 best VoIP providers to save businesses money this summer and the rest of 2013. Unified Communications (UC) presents unique security challenges because it brings disparate technologies, such as VoIP, video, chat, email and presence, together into one unified messaging system. As the technology has become more complex and more accessible from the public Internet, the security threat has increased. While large businesses can dedicate substantial resources toward securing their communications, SMBs need solutions that are both effective and simple to manage security. If your company is like most SMBs, you’re either considering hosted IT and communications services, or you’re already using them. As more SMBs and large enterprises migrate to hosted solutions, the selection of cloud-based offerings and providers will continue to skyrocket as they try to capitalize on that expanding opportunity. To this day, there is still an opportunity for a “void filler” to satisfy the demand for telecom in small business, created by the abrupt departure of Microsoft Response Point in 2009/2010, and the slow fade of the Cisco small business phone systems a la its refocus on the enterprise. The very first one in the world was awarded to Jamison West (pictured at right in white shirt), a Seattle-based MSP, as part of the SMB Nation Spring Conference prize drawings. This morning, snom Technology announced that cloud-based VoIP services provider, Telinta, Inc., has developed an auto-provisioning system for the company’s 7xx and 8xx series of business phones. This type of provisioning is designed to streamline the process of adding a large number of snom phones to a network, particularly in a call center setting. ShoreTel confirmed this morning that Peter Blackmore, the company’s president and CEO, has informed the company of his intention to retire as soon as a successor is announced. Infonetics Research yesterday released key findings from their most recent VoIP and UC Services and Subscribers forecast report. This report, which tracks vendors such as AT&T, Comcast, NTT, Shaw Communications and Time Warner Cable, found that the overall VoIP services market saw a 9% increase from 2011 to 2012, which works out to a $63 billion market for both residential and business subscribers. At last week’s Channel Pro SMB’s SMB Forum conference, I was again surprised by how attendees visiting my booth are once again, discussing telecom. It seems like just yesteryear we were VoIPing with Microsoft Response Point and the Cisco 3xx line. But this time the conversation is different; it’s more mature. The reality is no one would promote PSTN in a digital world. It’s all sorted out over the years. Today, VoIPReview.org released a list of the three top reasons why VoIP customers shouldn’t be worried about the VoIP regulation/law changes in current discussion. In particular, there’s talk about how VoIP should be regulated, whether it should be defined as a telecom service, or regulated more like Internet services. This morning, the MegaPath Corporation announced that they will deploy all of their VoIP and SIP Trunking Services via Edgewater Networks’ EdgeMarc 4552 Series ESBC and EdgeView VoIP Support System. MegaPath chose the Edgewater Networks system due to its ease of integration into their network. By implementing the Edgewater solutions, MegaPath can easily offer Hosted Voice services to their customers. Broadvox has published a new guide, “Hosted VoIP Purchase Decision Guide: Seven Key Considerations When Selecting a Hosted VoIP Provider,” which identifies and explains important issues that all businesses should consider before selecting a Hosted Voice provider. This morning, ADTRAN, Inc. said that they have added four new IP phones to their VoIP portfolio. The new phones, which include the VVX 300, VVX 310, VVX 400 and VVX 410, are designed to be more intuitive for users and can be deployed on existing hosted or on-premise VoIP networks. 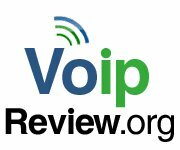 VoIPReview.org yesterday released a guide with the three questions business owners who are thinking of swapping to a VoIP solution have asked their community. The organization, an informative online VoIP resource, looked at the differences between the two main types of VoIP, Hosted PBX and IP PBX with SIP Trunking, to answer the three questions below. 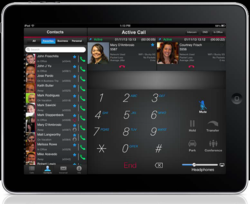 This morning, 8x8, Inc. announced a new version of their Virtual Office Desktop softphone application. This app, now available for current 8X8 customers, is a part of the company’s Virtual Office package and features a new user interface. This morning, snom technology AG announced a series of updates to their snom UC edition 7xx and 821 business phones. These updates, which include an auto-configuration feature for Microsoft Lync, are designed to help organizations simplify their enterprise deployments. Broadvox has released Call Bursting, a new add-on feature available with its SIP Trunking feature that gives customers the ability to utilize additional call sessions beyond the amount purchased for peak calling times. This optional feature can be added to any SIP Trunking order and is helpful for businesses or organizations that occasionally see bursts of increased calling activity, such as the increased calling activity a school may see on a snow day. This morning, Novus, a Connecticut-based telephony distributor, announced entry into a distribution agreement with award-winning recording and transmission device manufacturer, Sennheiser. Today’s announcement will pull a wide variety of Sennheiser’s wired and wireless devices into the Novus Endpoint Affiliate Program. Broadvox said that it is bringing cloud-delivered video services to SMBs and enterprises. The service will use plug-and-play desktop solutions from Polycom, Inc., and will allow users to easily collaborate face-to-face with colleagues, partners and customers across a variety of standards-based video platforms. VoIPReview.org, a VoIP search site, today released a list of 5 tips for having high-quality VoIP service on a budget. The company explained that although VoIP is, in general, a cost-effective option for residential and business purposes, many users are not aware of all of the service’s uses. This morning, business phone systems provider, Telcom & Data announced the release of the latest Allworx System Software Upgrade, version 7.5. The main feature of today’s upgrade is an app that allows users to extend IP-phone services to their mobile devices. Yesterday, Clearwire Corporation announced a new 4G wireless broadband service for SMB customers. CLEAR Professional will be available beginning March 18 in approximately 80 US cities. Verizon announced today at the Channel Partners event in Las Vegas that it is simplifying its relationship with indirect sales channels and the companies that form its extensive technology ecosystem. Therefore, as a result, it is consolidating several existing business channel programs under a new “best-in-class” Verizon Partner Program to make it easier for its members to expand distribution and create new business opportunities for their customers. VoIP provider Vocalocity announced today at The Channel Partners Conference & Expo in Las Vegas, that it is making changes and revisions to its channel program. The enhancements are expected to enable Vocalocity and its partners to further accelerate their growth. Yesterday, Infonetics Research released excerpts from their Q42012 Service Provider VoIP and IMA Equipment and Subscribers report. The report excerpts showed areas of growth, the first in nearly four years, as well as changing trends in the IMS and VoIP space. More news from the Lync Conference 2013 today as snom technology AG announced that their UC Edition IP phones have completed interoperability testing with Microsoft Lync 2013. snom is currently showcasing the 7xx series at this week’s event in San Diego, CA. Broadvox today announced the release of a new Feature Guide for their Managed Hosted Voice service. The goal of this guide is to further education of the Managed Hosted Voice service’s advanced features for both existing and prospective users. snom technology AG is currently debuting a new line-up of SIP Lync-qualified business phones highlighting its new, 7xx series – at ITEXPO East 2013 in Miami this week. According to the company, snom’s standards-based portfolio of IP desktop phones represents the industry’s largest and most comprehensive offering of endpoints fully interoperable with Microsoft Lync. This morning, Managed Business VoIP services provider, Broadvox, LLC announced the availability of a Voice Control Technology bundle for their Hosted Voice solutions. This new offering includes features to simplify the move to Managed VoIP for SMBs. Yesterday, Broadvox announced new promotional pricing for two of their solutions, the standard SIP Trunking offering and their Managed Hosted Voice solution. Broadvox will be offering a 30-day customer satisfaction guarantee for both of these solutions. Yesterday, Intermedia and Telanetix, Inc. announced that they have entered into a merger agreement through which Intermedia will acquire cloud-based telecom provider, Telanetix. Both companies expect the merger to close within the next six months. This announcement will allow Intermedia to become one of the largest SMB VoIP providers in the US. Yesterday, Estech Systems, Inc. (ESI) announced that they have acquired the branding and retail assets of Vintalk from Vinculum Communications, Inc. This acquisition allows the ESI, acommunications service provider with 25 years in the industry, to enter the hosted PBX and SIP trunking market. The small-to-medium business sector represents one of the most demanding groups, for myriad of reasons. Efficiently allocating time, resources, employees, and more is crucial to survival in the tough economic climate we’re all experiencing. Fortunately, there’s an abundance of solutions on the way and in development, designed to incorporate reliability and speed into one compact package. We all know that VoIP is an affordable technology that transfers voice and data through the Internet. Unlike traditional phone service providers, VoIP companies accommodate businesses with numerous features at no extra cost. However, as some top VoIP companies provide as many as 40 features in their basic plans, it is sometimes difficult for businesses to fully understand each option and use all of them on a daily basis. snom technology AG today announced that their snom 7xx phone series are now interoperable with Epygi Technologies’ full Quadro IP PBX line. Yesterday, GetVoIP.com announced their list of the top 5 business VoIP providers that are set to revolutionize the sector in 2013. To build this list, GetVoIP.com looked closely at consumer reviews, pricing, features, innovation and overall performance over the last year to choose their top 5. Yesterday, netTALK announced that magicJack has filed a motion to dismiss the patent infringement suit that they filed against the company in April 2012. The federal courts have dismissed the entire case, including all claims and counterclaims, permanently.